Cinetrip is celebrating its 15th birthday in 2012. 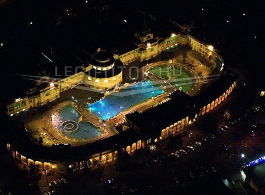 As a birthday gift and anniversary Cinetrip is throwing a mega giga size party at Szechenyi Bath on the night of December 29, 2012. Watch out for the details, coming soon! Online tickets will be sold soon, do place your booking well in advance as tickets will sell like hot cakes for a hot party! Sorry, our discount tickets have sold out like hot cakes! 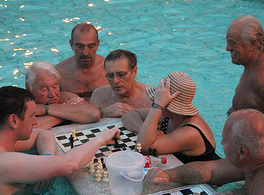 Don’t worry if you miss the December Cinetrip party in 2012 (actually, do, but not much). 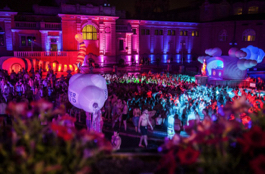 More Saturday parties at the thermal bath in Budapest coming from November 2012! 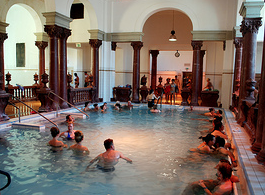 No, not at Szechenyi Bath, but it will be just as fun. 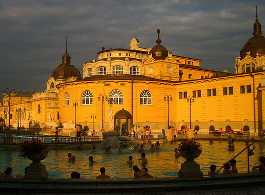 The new venue of the ‘winter edition of Szecska’ is at the less known but nice Lukacs Bath. Saturday Bath party series from November 24, 2012 onwards at Lukacs Bath in Budapest, another bath of the Budapest Medicinal Bath Co.
More info about the Magic Bath in Budapest here: winter bath parties every Saturday in November, December, January, February, March, April and May. 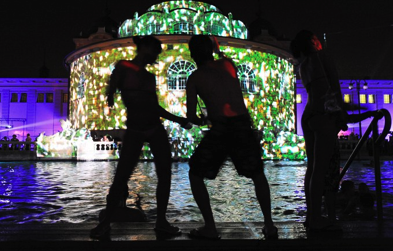 Then the party moves back to its summer venue, to our beloved Szechenyi Baths from June to October.